Rare opportunity to acquire 154. 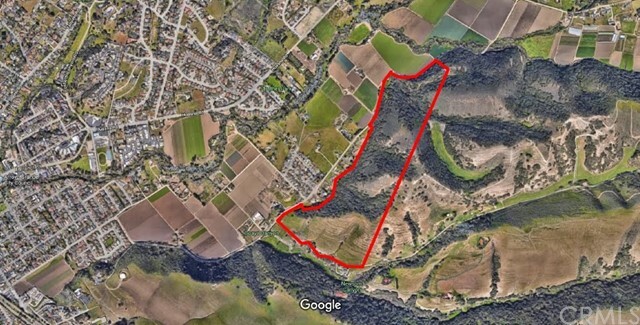 4 acres in arroyo grande to build dream home or develop! This land offers beautiful views of the valley and tranquility, yet is close to town and the freeway. It's adjacent to million dollar homes and 10 minutes to pismo beach. Current zoning allows for construction of two homes, each with a guesthouse. 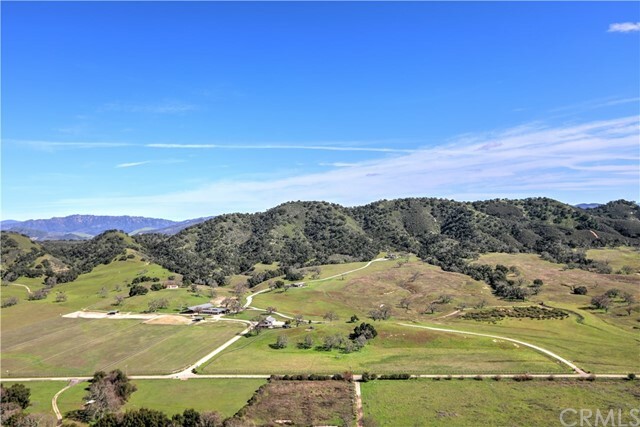 Buyer to verify with san luis obispo county about possible rezoning to residential. This is a rare opportunity - don't miss it! Maps provided in images are for informational purposes and may not have been prepared for or be suitable for legal, engineering, or surveying purposes. They do not represent an on-the-ground survey and represents only the approximate relative location of property boundaries. La ranchita ranch in the huasna valley is a 167. 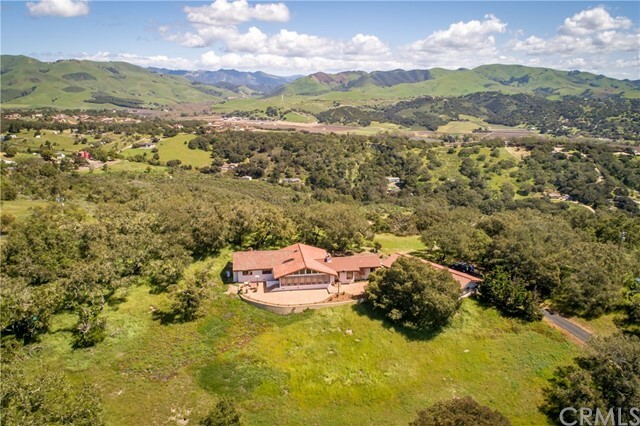 24 acre private and secluded turn-key equestrian property of the highest quality for the owner, breeder, and/or trainer that wants the very best. Equestrian facilities include: large hay barn with vehicle storage/maintenance area; state of the art 10 stall courtyard stable with office and feed/employees rooms; lighted, covered arena with custom irrigated footing; 8 paddocks; 2 run-in barns with feeders; nelson auto waterers; non-climb fencing; 60 ft. Round pen; and a large 18 acre fenced pasture. La ranchita also has scenic trails. 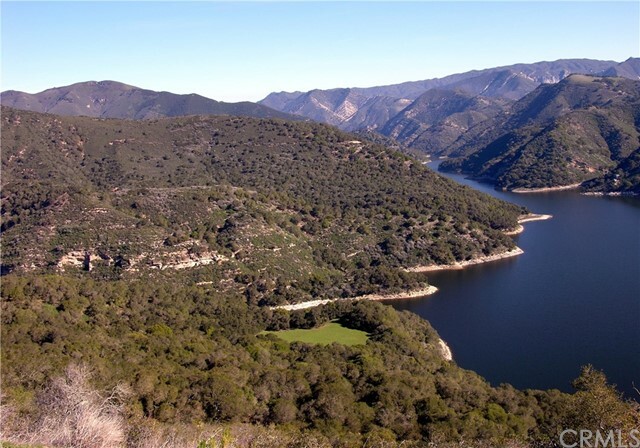 The property was carefully developed to protect and preserve the natural beauty of the land. Two owner/family residences feature custom contemporary architecture with solar design, radiant floor heat, air condition & 2 car garages. Eco friendly materials and energy star appliances are used throughout. A guest/employees apartment with garage and fenced yard is attached to the hay barn. In addition there is an older 3 bedroom/2 bath home on the property. Other features include 3 wells, 2 original windmills, abundant wildlife. Adjoining 132. 58 acres are also available. The total square footage is indicated for all structures as well as bedrooms and baths. Just bring your horses! Apn 085-012-064 and 065. Experience the picturesque vistas and unsurpassed craftsmanship of this magnificent custom-built home. A blend of timeless elegance and rustic charm, this tuscan inspired villa creates a sophisticated yet comfortable atmosphere. The living area offers a 24’ ceiling, beautiful stone fireplace, travertine floors and 10’ glass doors that bring in natural light. The kitchen features marble and granite counters, hand distressed alder cabinets, thermador appliances and butler’s pantry. A wine room is also steps away. The owners’ suite exudes serenity with a fireplace and glass doors leading to a private patio. The en suite includes a spacious jet tub, fireplace, generous walk in closet and luxurious spa-like steam shower. All bedrooms include attached bathrooms with walk in showers. A media room includes theater surround sound and reclining seating to enjoy your favorite movie or sporting event. The outdoor area is an entertaining and leisure haven. The patio has a wood burning fireplace, tv and dining area. The outdoor kitchen includes a wood fired pizza oven, gas grill, smoker and wine fridge. Incredible views stretch across the protected open space, out to the edna valley and to the 7 sisters peaks. Independent of the main home is a detached studio with sleeping loft. 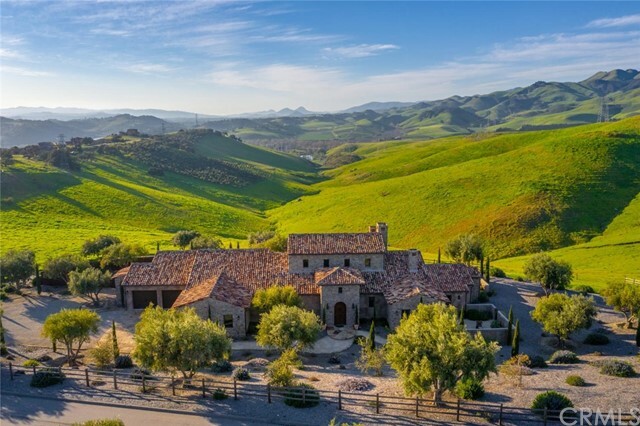 Only minutes from the village of arroyo grande and san luis obispo this home is located in an exclusive community of custom homes which includes over 4,500 acres of protected open space that is preserved forever. 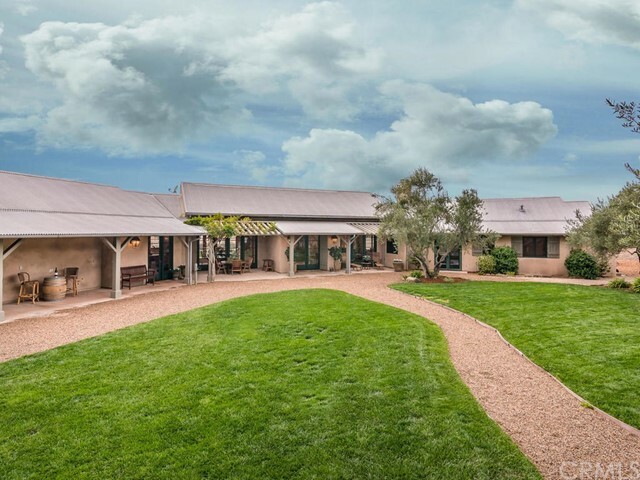 Huge price reduction-finely crafted 4,814 sq. Ft. Home built in 2014 on 4. 78 acres with a barn and living quarters. This property has it all. Kitchen has alder cabinets with quartz counter tops, thermador appliances. Great room utilizes both natural lighting and recessed led lighting. Master bedroom and bath downstairs with additional mini master downstairs. Bathrooms have quartz counter tops. Pella windows. Sonos sound system throughout the house. Throughout the house are 10 foot ceilings. 15 foot in the living room. Solar system by sunrun. Wood flooring throughout the house and all bedrooms and game room have ceiling fans. Two tankless water heaters in the house and one in the barn. Nice large barn with 6 box stalls with runs. Round pen and arena. Newer green house to grow a garden. Outdoor spa, two conversation fire pits, make this a perfect place for entertaining inside or out. The attic has flooring added for extra storage. 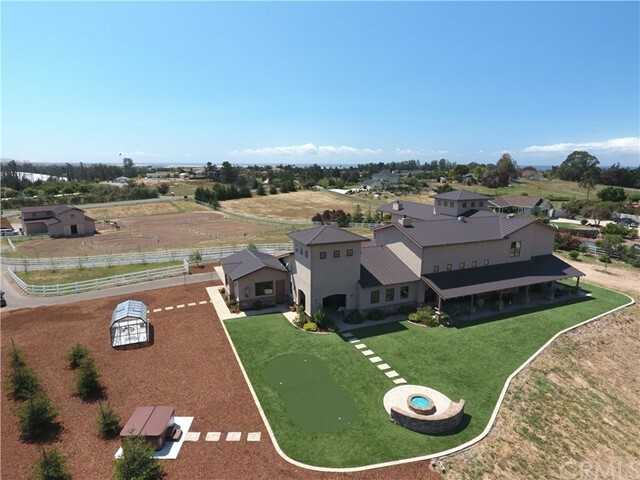 This is a one of a kind home with top of the line finishes.